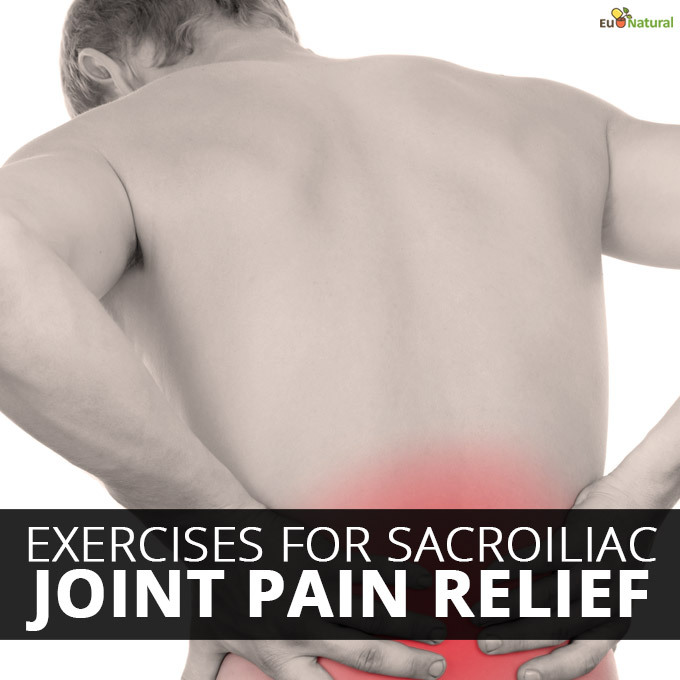 If you suffer from sacroiliac (SI) joint pain, you know it’s a problem that can’t be ignored. Walking, sitting and even slight movements can amplify the discomfort. While certain motions may exasperate the feeling, did you know exercise can be among the best ways to alleviate your sacroiliac joint pain symptoms? Specific exercises and stretches can help you achieve significant relief from your pain. First, it’s best to know why you’re experiencing sacroiliac joint pain and where it came from in the first place. The joint pain is called SI joint dysfunction. The SI joints are located in the low back, where the sacrum and right and left iliac bones join. Cartilage covers the SI joints, and when that is damaged or worn down, the bones rub together, leading to degenerative arthritis. That is the top cause of SI joint dysfunction. Another major cause of SI joint pain is pregnancy. Additional weight gain due to pregnancy leads to more pressure on the joints, and when ligaments relax and stretch to make room for the baby, it can alter the way a woman walks. The extra weight plus a change in walking can irritate the SI joints. Certain exercises promote movement in the SI joint area. These stretches and exercises can allow for more normal, painless motion if you find yourself limited by your SI joint pain. Click each exercise for additional instruction and video examples. Beginning Stretches: These stretches are ideal for a workout warm-up or a daily stretch series. Single knee to chest stretch: Pull one knee, then the other, to the chest one at a time. Pump each knee three or four times. Do 10 repetitions on each leg for a full set. This extends the range of motion within your joints and promotes movement and fluidity. Press-up: This is a simple but effective stretch, and the intensity is simple to adjust. Lie on your belly and press up with your hands. Be sure to keep your pelvis on the floor. Hold that position for five seconds, and work up to 30 seconds when you are comfortable. Repeat that motion 10 times. Lying Tailbone Twist: This a slightly deeper stretch to try after you are warmed up. Lie on your back with one leg straight. The other leg will be bent with your foot flat on the floor. Drop the bent knee over your opposite leg and turn the shoulder on the bent leg side away from the bent leg. Hold that stretch gently. Repeat this stretch on the other side of your body. Lumbar Rotation: Lie on your back with both knees bent. Keep your feet flat on the floor and rock the knees side to side. This will be a very slight motion. Continue to rock the knees for 30 seconds. SI Joint Exercises: These movements help to stretch the SI joint area, and bring more motion to the joints. Walking Sacral Shift: This is an exercise that uses pressure to help pinpoint your pain as you alleviate it. Place your middle finger of the hand on the side of your SI joint pain and touch the bottom of your tailbone. Move your finger about an inch toward the painful side, and pull up on the tissue there. Press the heel of your palm up and inward, in the direction of your belly button. As you do that motion, walk ten paces forward, turn, and walk back to the starting point. Repeat the exercise with the other hand to assess your level of pain relief. Reverse Sacral Twist: Like the Walking Sacral Shift, this is an exercise that uses pressure along with a stretching movement for pain relief. Lie on your back and raise one knee, starting with whichever side is in pain. Keep your foot flat on the floor. Gently drop your raised knee over the opposite leg and let it rest. Place the hand that is on the same side as your bent leg on your tailbone. Use your index and middle finger of that hand to locate the bottom of your tailbone. Move your fingers about one inch toward the painful side and gently pull upward, pressing your palm in. Keeping that pressure, roll back onto your back and straighten your leg. Repeat this motion on the other side of your tailbone. Tailbone Rocking: This exercise strengthens the glutes and back muscles, and brings focused motion to the SI joint area. Lie on your back, bend your knees and keep your feet flat on the floor. Alternately tuck your tailbone up and pull it back down by arching your back. Do this motion 20 times. Resisted knees opening and closing: The resisting motion of this exercise really gets your thigh and hip muscles to work and release, which should bring relief to your SI joint pain. Lie on your back; bend your knees and pull knees up to be perpendicular with the floor. Hold your hands 4-6 inches apart and place them between your knees. Push your hands against your knees while resisting with your knees. Hold this for about 3 seconds. Then, you will do the opposite motion. Place hands on the outside of your knees. Try to push your knees together while resisting the motion. Do this motion for about 3 seconds. Repeat this process five times. Go through those same motions with your knees one foot apart. Resisted Bicycle Motion: This motion, like the Resisted Knees Opening and Closing, uses resistance to help your muscles release. Lie on your back, bend your knees and raise them toward your chest until they are perpendicular to the floor. With hands 4-6 inches apart, hold one knee on the front of your leg, and the other knee from the back of the leg. Alternate pushing your knees into your hands. Do each rep for three seconds, switch hands to the opposite side of the knee and repeat. Do five sets. Then, repeat this set with knees one foot apart, then two feet apart. Lying on a Wedge: Finish your stretching exercises with a relaxing position that uses your own bodyweight to stretch. Lie on your back with legs straight. Take a sneaker with a folded sock in the toe area, and place it below the SI joint. Relax in that position for five to 10 minutes. Repeat that position on the opposite side. Practice different exercise and stretch series until you find a couple options that best alleviate your pain.